Figuring out the exact number of Islands on Earth can be a difficult process. It is said to be, there are around 2000 Islands in the oceans. These Islands vary in size, geography, climate, flora and fauna. The followings are 10 largest Islands in the world. By comprising an area of 196,236 square kilometers, the Ellesmere Island is the third largest Island of Canada and 10 largest Island in the world. 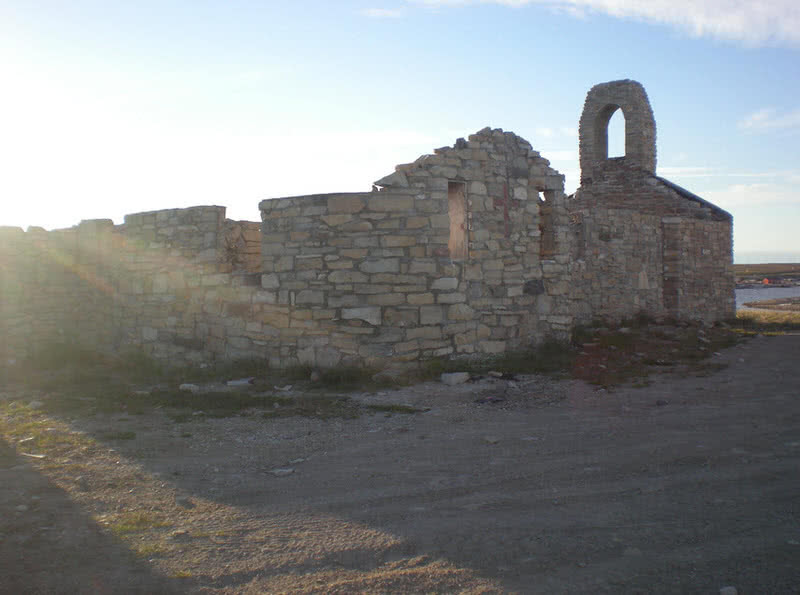 It is located in the Nunavut province of Canada. The entire Island is dominated by majestic mountains and Icefields. It is the most mountainous region in the Arctic archipelago within the Canadian range. A chain of sedimentary rocks located in the Northern parts of the Ellesmere Island aged more than 100000 years. The Ellesmere Island contains remnants of the last ice age. 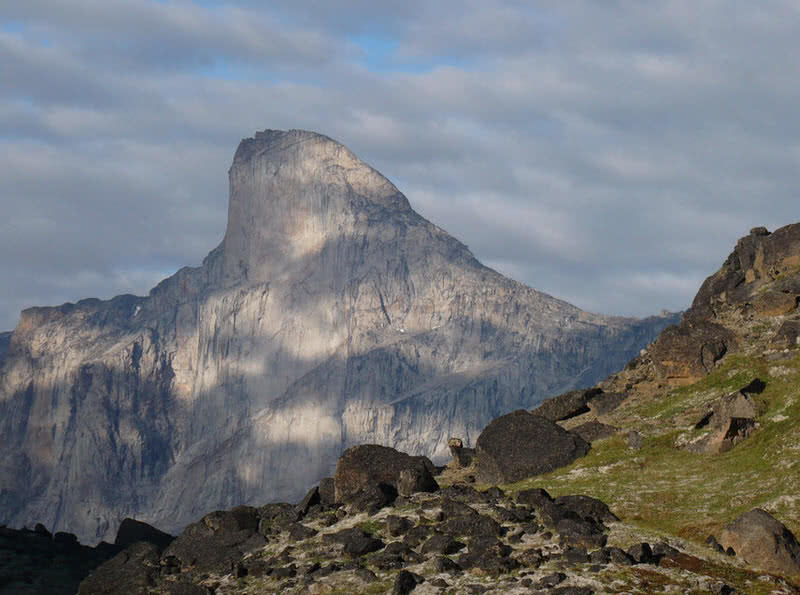 At an elevation of 2616 meters, the Barbeau peak is the highest point in the Nunavut province. The Arctic willow is the only woody species found on the Ellesmere Island. Great Britain is an Island located in the Northwest of European continent. At 209331 square kilometers, it is the largest Island in the Europe. The Great Britain is part of the United Kingdom. It comprises autonomous regions of England, Scotland and Wales. The Great Britain is surrounded by 1000 islands and islets. The Great Britain is the most populous region in Europe. 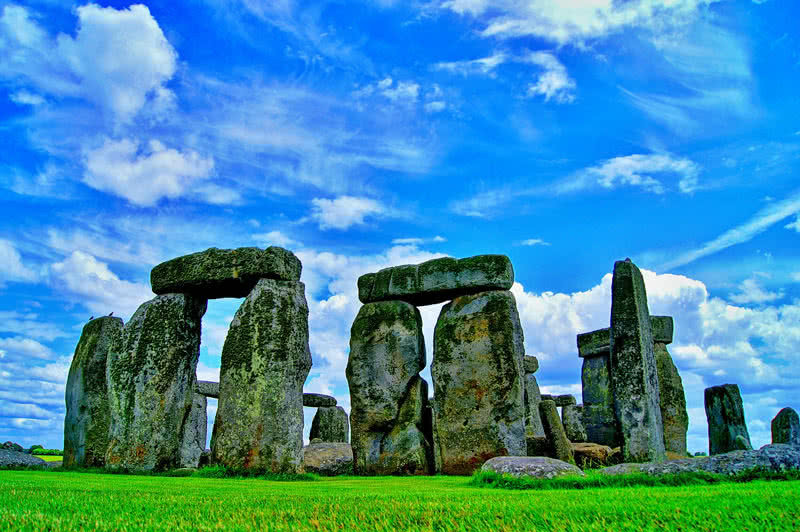 The human habitation in the Great Britain has been started 500000 years ago. The Great Britain receives a pleasant, mild temperature throughout the year. London is the largest city in the Great Britain. Victoria Island is the second largest Island of Canadian Arctic Archipelago. This Island is 320 miles long, 350-387 miles wide and comprises a total area of 217291 square kilometers. At this size, Victoria Island is also the eighth largest Island in the world. The Island was discovered by the Arctic explorer Thomas Simpson in 1838. Victoria Island was named after Queen Victoria. As of 2006, only 1875 people live in this large Island. The Northwest part of the Victoria Island contain 15 mile wide Tunnunik impact crater. It is said to be formed between 130 and 350 million years ago by a meteorite. Situated between the Pacific Ocean and Sea of Japan, the Honshu Island is the largest Island of Japan. Honshu Island has many historical importance and it’s regarded as Japanese Mainland. This Island is 800 miles long, 150 miles wide with an area of 225,800 square kilometers. That is around 60% of the total size of Japan. The Honshu Island is home to some of the important cities of Japan, including Tokyo, Kyoto, Hiroshima, Yokohama and Osaka. The Honshu Island is the second populous Island in the world after Java. 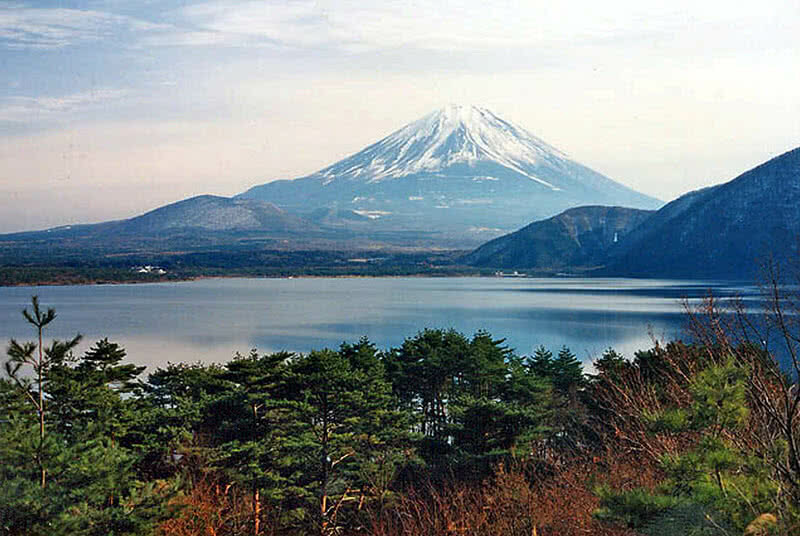 The largest mountain in Japan, the Mount Fuji located in this Island. The Honshu Island also contains the largest lake of Japan, the Lake Biwa. At 480,848 sq. 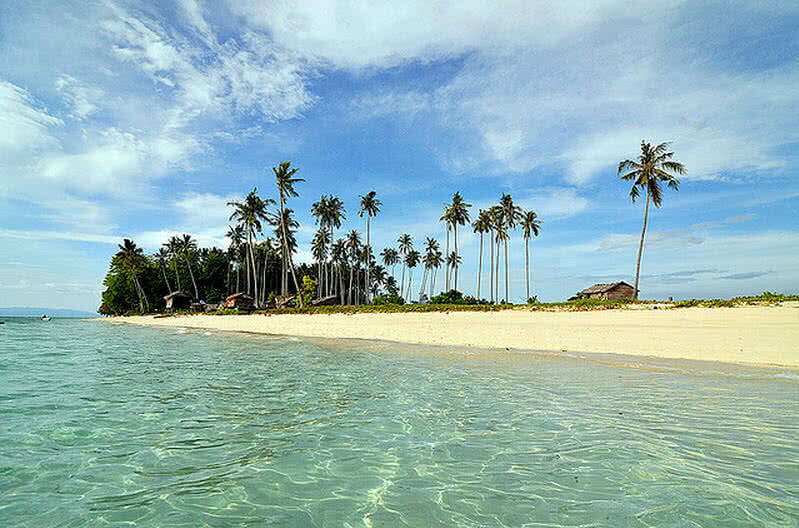 kms, the Sumatra Island is the second largest Island of Indonesia. It is also the Westernmost Island of Indonesian archipelago. The Sumatra Island is prone to powerful earthquakes and Tsunamis. It is because this Island is located at the subduction zone of Indo-Australian and Eurasian tectonic plates. However, the Sumatra Island is home to amazing wildlife and rich forests. The most part of the Sumatra Island is covered by tropical rainforests. Sadly, due to transmigration and oil production the Island lost almost 50% of its forest between 1985 and 2007. Sumatra Island is home to some of critically endangered species, including the Sumatran tiger, Sumatran orangutan, Sumatran Rhinoceros and Sumatran ground-cuckoo. Rafflesia arnodii, one of the terribly smelling flowers in the world is endemic to rainforests of Sumatra and Borneo. 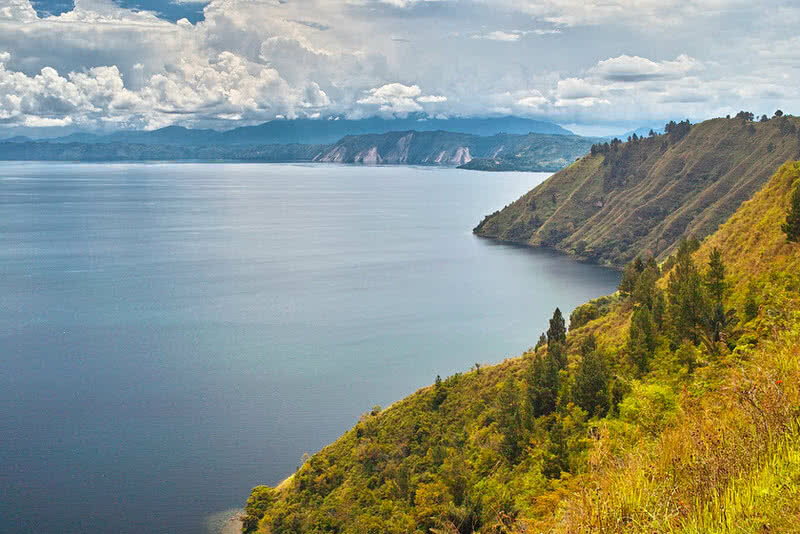 The Sumatra Island contains large deposits of gold and silver. Some of the finest oil plants and coal-fields are also located in the Island of Sumatra. Baffin Island, located in the Nunavut territory is the largest Island of Canada. Baffin Island is almost 507,451 square kilometers in area. This Island in the Arctic archipelago receives extremely cold weather with an annual average temperature of -8 degree Celsius. There are also many Fjords and freshwater lakes. he Baffin Island is named after the British explorer William Baffin. You can see stunning displays of Northern Lights, as most parts of the Baffin Island lies North of the Arctic circle. A large number of mammals, including polar bears, Arctic wolves and lemmings are live in the Baffin Island. 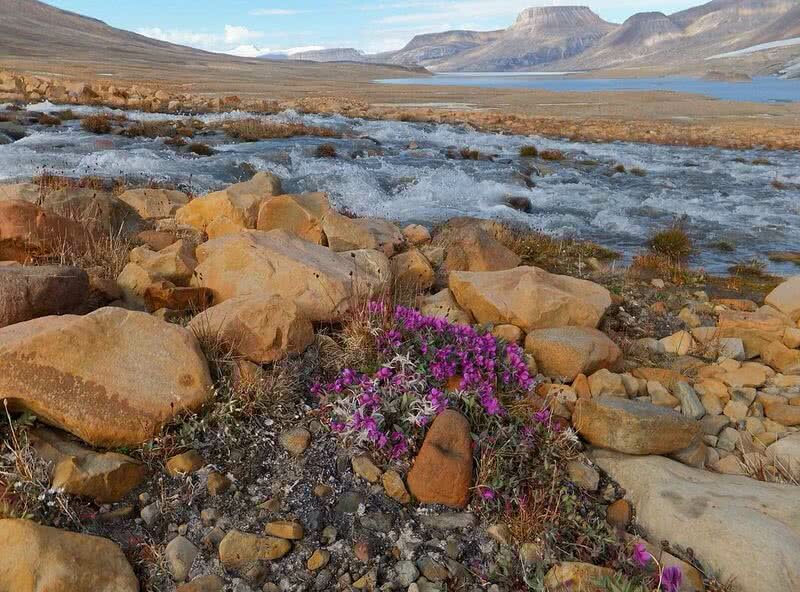 There are two National Parks in the Baffin Island – Sirmilik and Auyuittuq. These National Parks are home to spectacular glaciers, majestic Fjords and snow fields. Madagascar is an Island country located on the East Coast of Africa in the Indian Ocean. With a total area of 587,713 square kilometers, it is the fourth largest Island in the world. The Madagascar Island was created about 88 million years ago by its separation from the Indian subcontinent. This Island is home to many unique species of plants and animals. Thus, Madagascar is also called as ‘eighth continent’ or ‘alternate world’. Madagascar is home to 250000 species of animals. 70% of them are found nowhere else in the world. 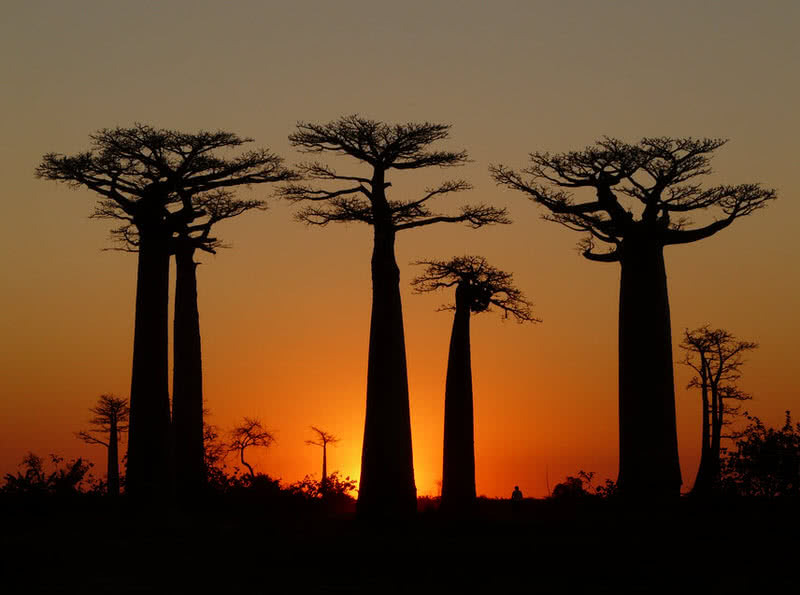 There are 14000 different species of plants in the Madagascar Island and 90% of them are endemic to the Island. The cat-like looking lemurs are only found in the forests of the Madagascar Island. The Toliara coral reef in the Southwestern Madagascar is the third largest coral system in the world. Borneo Island, located in the West mid-Pacific Ocean is the only Island in the world that is administered by three countries – Indonesia, Malaysia and Brunei. The Major parts of the Borneo Island are Indonesian territory. At 748,168 sq. kms, Borneo is the third largest Island in the world. It has almost double the size of Germany. The rainforests of Borneo has been aged more than 130 million years. It is the oldest rainforest in the world. These forests are also home to 15000 species of plants, 221 species of mammals and 420 species of birds. The mount kimabalu, the highest peak in Southeast Asia is located in the Borneo Island. The endangered Bornean Orangutan and Dayak fruit bats are only found in the forests of Borneo Island. New Guinea Island in the Western Pacific Ocean is the second largest Island in the world. This Island is 1500 miles long, 400 miles wide and comprises a total area of 785-753 square kilometers. The New Guinea Island is administered by two countries – The Western part to Indonesia and Eastern part to Papua New Guinea. The New Guinea Island is dominated by high mountains. At an altitude of 16503 ft the Jaya peak is the highest point in the New Guinea Island. 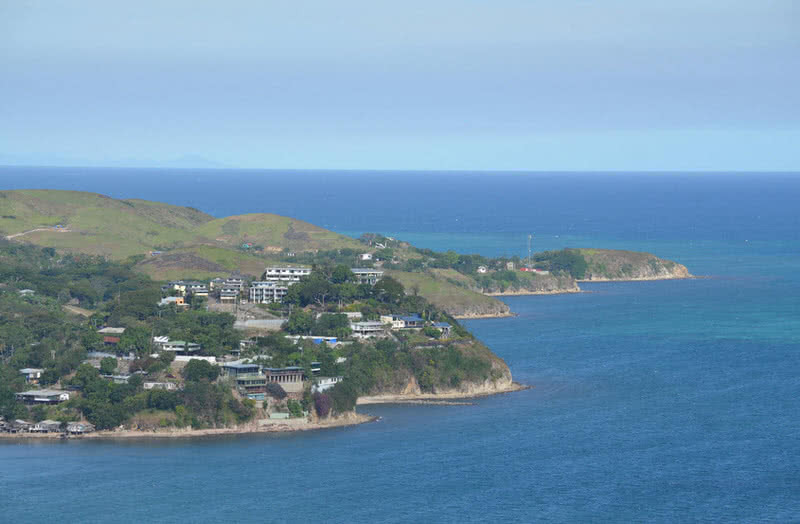 The humans have been settled on the New Guinea Island over 40000 years ago. The New Guinea Island has large deposits of copper and gold. The majority of species beautiful bird of paradise is found in New Guinea Island. 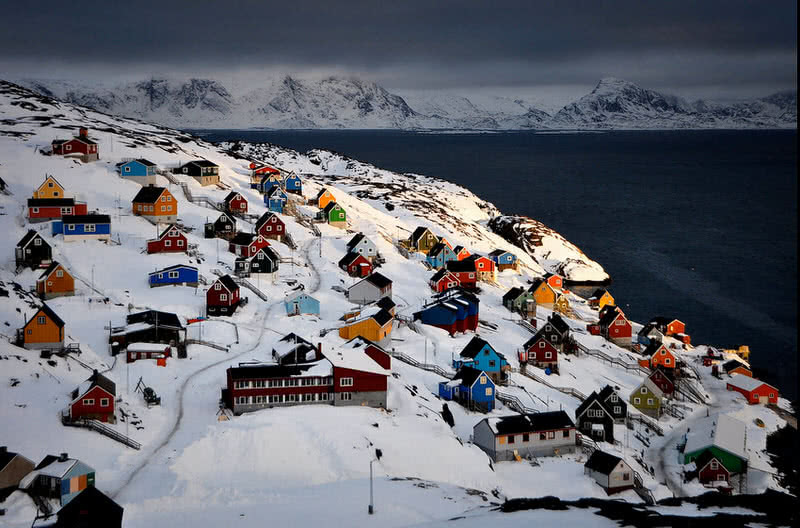 With a total area of 2,130,800 square kilometers the Greenland is the largest Island in the world. It is located between the Atlantic and Arctic Ocean. Greenland is an independent territory of Denmark. More than 80% of the land of the Greenland is covered by ice caps and glaciers. So that, this large Island only has a population of 57600. Greenland is an Island and not a continent. Because only 57600 people live in its vast land of 2,130,800 square kilometers. The Greenland is home to second largest ice sheets in the world just behind the Antarctica. The llulissat ice fjord in the Greenland is the biggest glacier outside the polar region. The Northeast Greenland National Park is the largest and most Northerly National Park in the world. There are no roads connecting the towns of the Greenland. Sealing, whaling and fishing are the main source of income for the people of Greenland. Australia is almost three times the size of the Greenland. But rather than an Island, Australia is considered as a continent. In that way, Greenland is the largest Island in the world. Now, share your thoughts and more details about the large Islands in the comments section below.